(please specify the dates of the programme you are interested in). 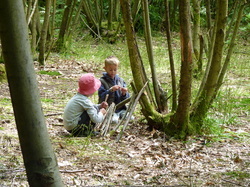 This younger age group will head off for adventures, exploring the woods and creating things from what they find. They'll contribute to cooking their lunch on an open fire to share. Maximum 10 spaces available. These two days will be led by Gideon with an assistant. Early bird £50 when booked before 14th June! We will be running our popular holiday programmes again in this Summer. This is an opportunity to have fun out in the woods connecting to nature. Cost: £90/child for all three days. 10am-4pm. 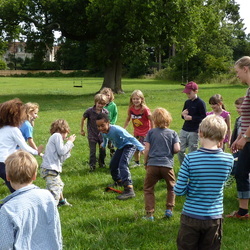 Early bird: £75/child for all three days when booked before 14th June! This will be a similar holiday programme to the one described above but a bit further into the summer. Come and join us for woodland crafting, games and adventures!